Antivaxers are well known for bogosities and inability to admit defeat. 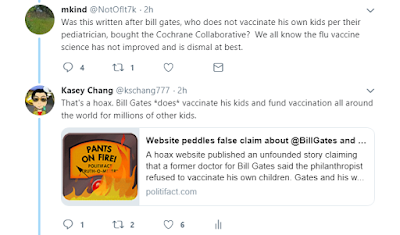 I've covered this previously but recently, some more bogus facts pushed by antivaxers simply chafed me wrong. On 27-JAN-2019, in a bit of debate on flu vaccine, someone brought up the "Bill Gates is antivax" hoax. I quickly replied with a rebuttal citing. Politifacts tracked down the source to a website called Yournewswire, who have NO citing at all. No name, no proof, nothing. Indeed, it is a fake news clickbait site. Not that it matters to the claimant, who simply dismissed the rebuttal, so I called him out on it. So he jumped over to Google and pasted the first link he found that supposedly proves it. 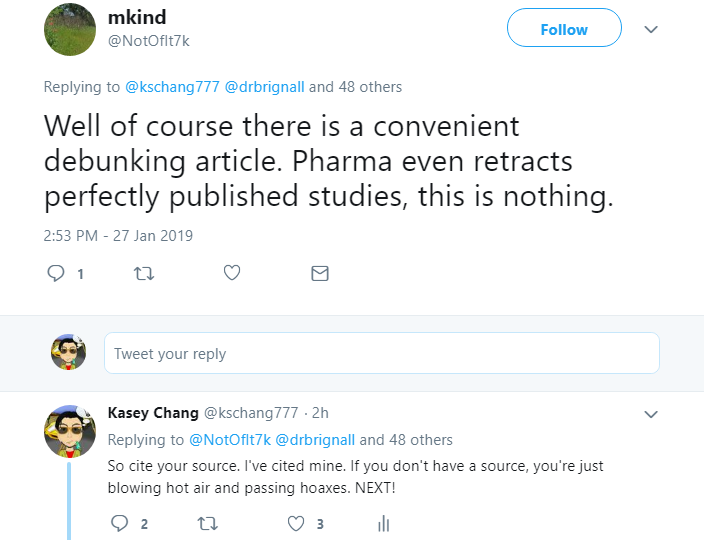 At the bottom, the "source" is cited as Transcend Media Service, where a virtually identical article can be found, but the ORIGINAL source was revealed to be YourNewsWire... the very source debunked in the article I linked. Indeed, YourNewsWire has a long history of publishing fake news clickbait later debunked by Snopes that now number in the dozens. "Katy Perry: 'Human Flesh is The Best Meat; Cannibalism Got A Bad Rap'"
"George Soros Orchestrates Devastating Plan to Kill 100000 Haitians"
But none of this bull**** has any effect on the original poster. 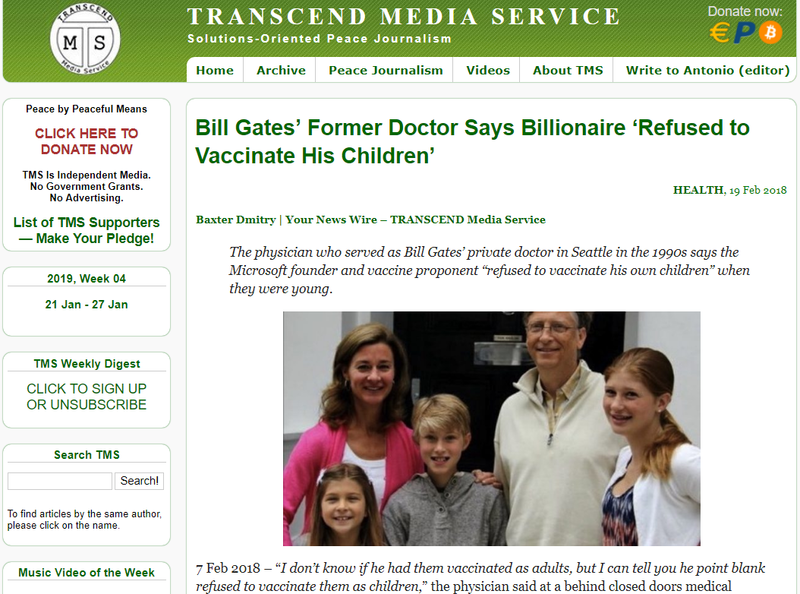 Guess we have to consider him an antivax troll.